Church awarded Community club Charter Standard - News - Alvechurch F.C. Already awarded Development club Standard, Church have successfully been upgraded to Community club Accreditation. 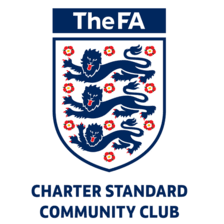 Thank you for becoming FA Charter Standard Accredited. We’re delighted you have chosen to deliver the highest standard of football. As a club accredited to The FA Charter Standard you represent the very best in grassroots football. The accreditation certifies that your club upholds values that appeal to players, coaches, officials and supporters. It demonstrates that your club offers a place where anyone can enjoy football. The club are obviously delighted with the news as it opens up more funding doors, but also more opportunities for the development of kids at all levels.